An exceptional portrait of consistency, Ashton Classic delivers an attractive, mild creaminess engaged to faint notes of pepper. Dominican tobaccos aged three to four years showcase a rich, golden Connecticut shade wrapper in an impressive manner your palate will savor. The top of the box is a simple affair, with a clear finish to the wood and the Ashton label declaring that the contents inside are ‘Ashton; Imported, Made By Hand’. 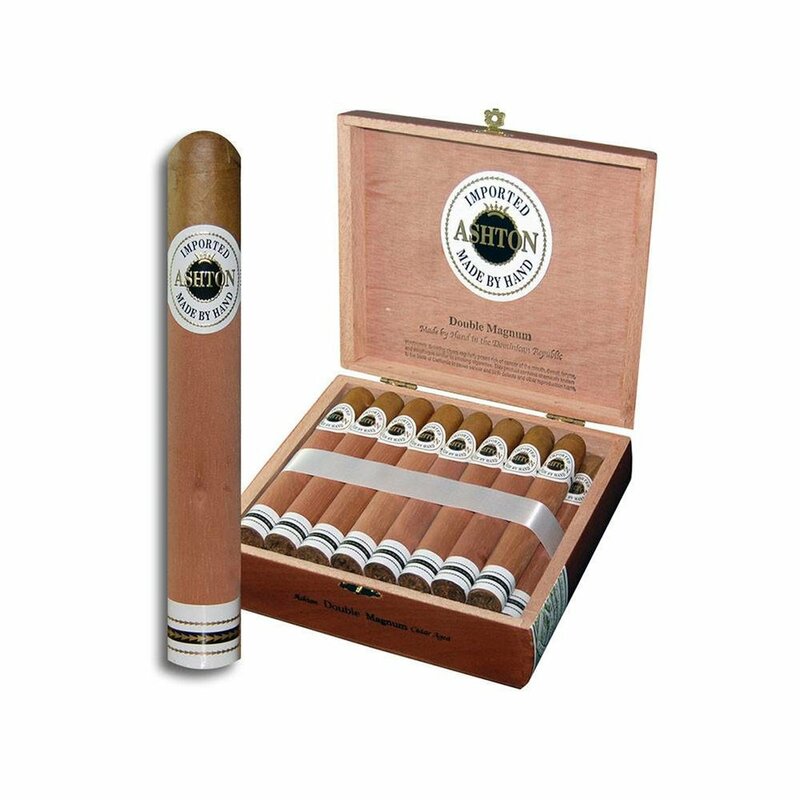 The wood is something on the lighter side, a box that will stand out if it rests on top of your desk, or if it is sitting opened in your humidor, and inside are 25 of the Ashton Classic Double Magnums. The Ashton Classic cigar line is a creamy one, a light one, and an affordable one. They are made for Ashton by Arturo Fuente, over in the Arturo Fuente factory in the Dominican Republic. There they put together Nicaraguan tobaccos, that age for three to five years, with a Connecticut Shade wrapper to create a very approachable and easily smoked cigar. The Double Magnum from Ashton Classic is a cigar that has notes of nuttiness and cream, hidden underneath a taste of wood and a slight peppery finish. Of course, with a cigar this easy to smoke and this approachable, it’s not hard to find yourself finishing one and desiring another, and perhaps even a third, schedule permitting. That’s why it’s a good idea to purchase multiples in an entire box, just in case you find yourself in the mood to have a few in a row to put an exclamation point on an otherwise indifferent day.